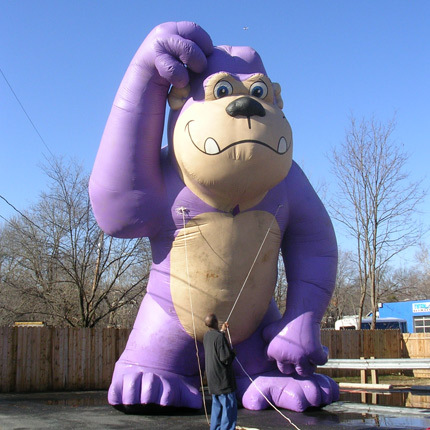 New Advertising Inflatables are frequently added to our Gallery Page. Please follow this link to jump to the current Listings. Orlando is a big and beautiful city that attracts millions of tourists every year. Businesses in the city are always in forefront when it comes to the use of innovative marketing strategies to attract more customers. Orlando balloons are one of them. Local businesses use them for everything from special sales, to grand openings, events, and promotions, or just to remind locals that they’re still there and open for business! In terms of ROI, the large inflatable balloons are best place to start. Mostly, people think of balloons as a plastic skin or foil filled with helium. But inflatable balloons are different as they aren’t filled and then sealed off. They are continuously kept inflated with the help of steady stream of air generated with the help of a special fan. It’s a sort of giant balloon attached to a giant hair dryer that can be made into any size and shape you would like. Giant Orlando balloons are made with hands and each one of them is unique. Depending on how large you want your market message to be, the inflatable balloon can be as large as you want. If you opt for yard decoration, store bought option, then inflatable can be relatively small without any scope for adjustment and customization. As promotional balloons are just balloons, your advertisement can be very large with very little setup or work. Businesses want their advertisement to be attention grabbing, because otherwise its a sheer waste of money. 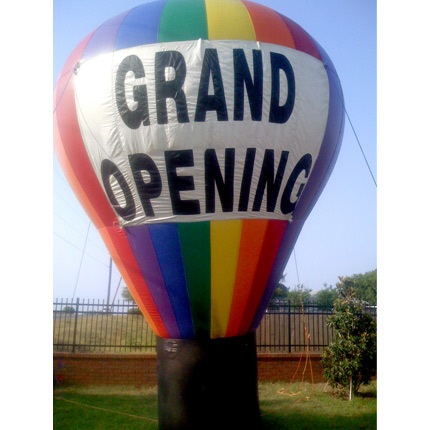 A giant promotional balloon can be easily seen from miles away and also piques interest long before your potential customers see or recognize your logo. Promoting your business with giant promotional balloons is definitely a new, innovative business idea. Therefore, more businesses are likely to notice and talk about you. Also, the more unique something is, the more likely it is to be remembered. Therefore, your business will be noticed and talked about more. As compared to other forms of advertising and promotion, inflatable balloons offer high returns on investment because they are mobile. Most other methods of advertising that are as large as giant promotional balloons are often cumbersome. While Orlando balloons are a large advertisement, but as they are simply a balloon, they are not heavy or fragile, and easy to handle. Giant rental balloons are very cheap form of advertising. In part, because they give you more flexibility in terms on how long you want to rent them-ranging from just one day to even months. Running a large industrial sized fan to keep a giant balloon airborne is no more costly than keeping a simple porch-light on.